A large high end condo had a Hammam Spa as an amenity. 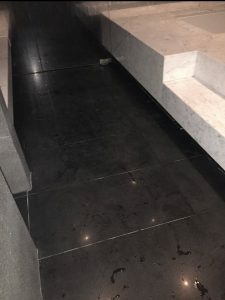 The flooring as well as the Hammam was polished marble, and of course very slippery. 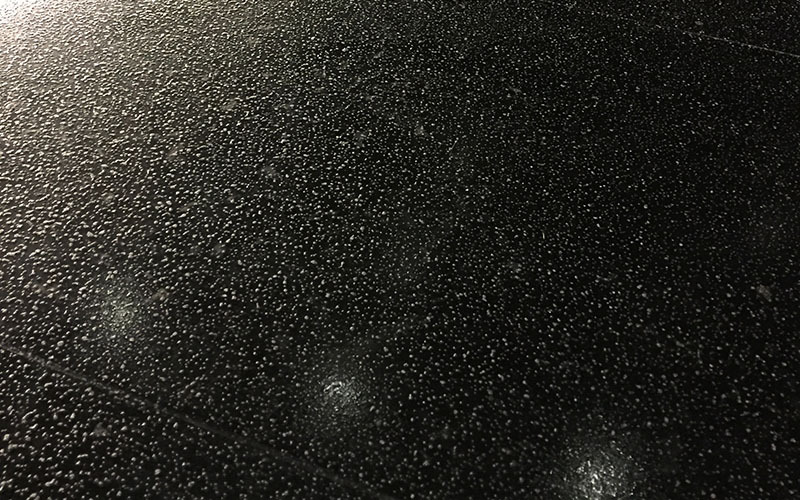 National Sealing was contracted to apply our durable anti slip application to these marble surfaces. The second factor to consider is the anti slip media that is added to make the surface non slip or non skid. A novice application would be to add an over the counter, ‘Shark’ type aggregate of shaved plastic. Some contractors even try common play sand. Those additives wear down very fast. If the non slip media is worn down, you back to having just the sealer on the surface, making the surface more slippery than when you started. Most sealers will not even adhere to polished marble, which is why we had to use our NS-200 coating for this non slip application. We utilize a multi component durable coating. In scenarios that include grout, this coating process serves many benefits; preserving the surface of the tile, providing a non slip surface, and also preserves the grout. Our anti slip application can produce a very durable, long lasting and very effective approach to slippery surfaces. National Sealing Co has crews that can mobilize throughout the US and abroad for anti slip applications for both commercial and residential.